Who Could ‘Hate’ Bill Murray? The following story was shared by Linda Epstein. 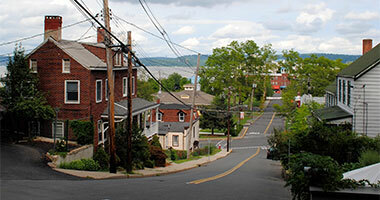 I was driving around Nyack, New York one sunny afternoon with a very opinionated friend. We were chatting about Saturday Night Live because my dad had been the manager of guest relations at NBC and I was lucky enough to see many performances during the first several years of the show. This began a lively ‘disagreement’, which lasted at least ten annoying minutes, as we continued driving along the Hudson River in Piermont. I was aiming towards a winding road past Tallman Mountain Park that would lead us down toward the river. We changed subjects and slowly fell into silence, enjoying the ride. The road I was on tapered completely until it became a one-lane gravel mess with a convertible approaching us at a very slow speed. As in a game of ‘chicken’, one of us had to stop completely in order to allow the other to come through. I stopped. The car came toward us. Blind as I am, it took a few moments for my friend and I to focus and then realize the driver of the oncoming car was Bill Murray. Header image courtesy of juliarowe on Flickr.